The Australian Sugar Milling Council (ASMC) is calling for the Australian government to challenge sugar trading nations who continue to flaunt international trade rules. 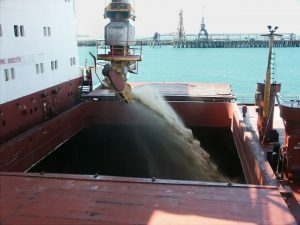 “Government policies in India and Pakistan, such as minimum prices for sugarcane and export subsidies, are contributing to an oversupply of sugar on the world market and Australian sugar prices have slumped to 10-year lows” said David Rynne, ASMC’s Director of Trade and Economics. ASMC has provided detailed analysis and is working with the Department of Foreign Affairs and Trade to finalise the nature and quantum by which World Trade Organisation (WTO) rules have been contravened. “We look forward to briefing the new Trade Minister, Senator Birmingham, on this issue, which continues to have a profound and immediate effect on the viability of our industry” added Mr Rynne. Next steps should include high-level bilateral negotiations, and if necessary, the commencement of formal WTO dispute proceedings. The remedy is the elimination of non WTO-compliant subsidies and the prevention of subsidised sugar entering the export market. ASMC is in close contact with other sugar exporting countries, including Brazil and Thailand who are equally concerned about the deteriorating situation.